Last week was Monster Week and this week we are kicking off Ghost Week! 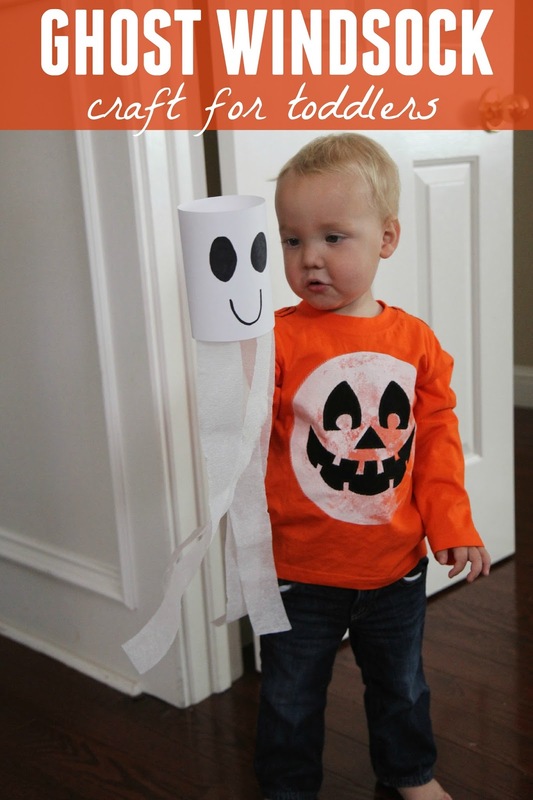 All week long we will be sharing some simple ghost crafts and activities for toddlers and preschoolers. 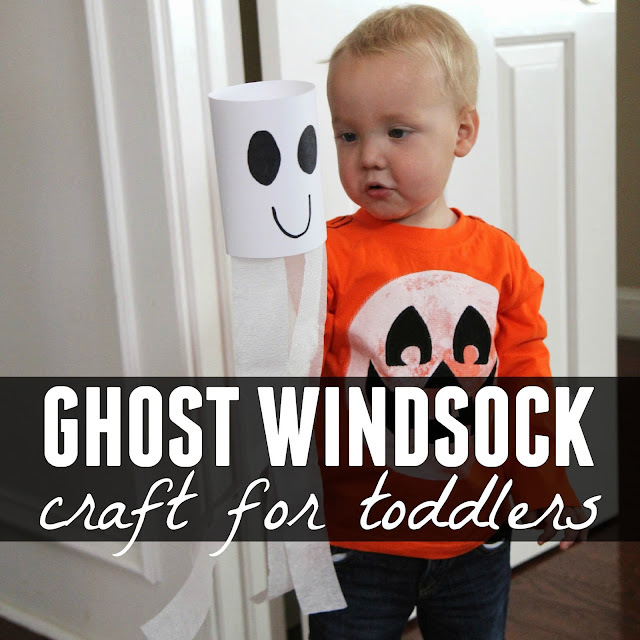 Today we are sharing our favorite classic ghost craft- mini ghost windsocks! Start by cutting a piece of cardstock in half lengthwise and draw a face in the center. Cut white streamers into long pieces and tape white streamers to the piece of paper and then roll the paper to make a cylinder. My toddler has fun using the scissors to snip his own streamers for his windsock. Close the cylinder using tape. Tape a craft stick to back of the cylinder using duct tape. Show your child how to hold onto the craft stick and run around making his ghost windsock fly! This activity is so much fun and so simple to make! I think the best part is once you are done making it when you can run around and pretend you are a ghost!